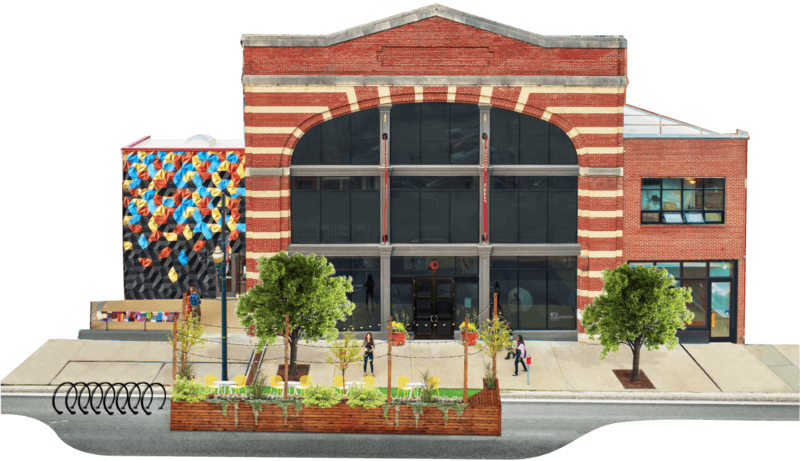 ASHEVILLE, NC (November 14, 2018) – The Center for Craft announces the public launch of its comprehensive campaign, Building a Future for Craft, having achieved 90 percent of its $11 million goal. The campaign will fortify the Center’s core public programming, transform its historic 1912 structure into a National Craft Innovation Hub, and establish an ongoing legacy of funding for emerging craft artists and scholars through the organization’s first endowment gift of $5.7 million from the Windgate Foundation. With the generous $975,000 grant from the Buncombe County Tourism Development Authority (BCTDA), the Center for Craft plans to move forward with its capital renovation in early 2019. This project adds 7,000 square feet for expanded programmatic activity in the Center’s downtown Asheville location, including increased gallery space, additional classrooms and workshops, a co-working space for the creative sector, improved offices, optimal lecture and event spaces, and an exterior tile installation by regional artist Ian Henderson. In addition to enhanced space, the renovation allows for greater collaboration with local artists and organizations, including the Center’s academic partners UNC Asheville and Warren Wilson College. Regional cultural organizations will have access to meeting rooms free of charge to foster a strong and inclusive community spirit. The Buncombe County Tourism Development Authority’s investment in the Center acknowledges craft’s stronghold in the region and the Center’s dedication to be an active leader and partner in Asheville’s cultural community,” said Stephanie Brown, president and CEO of Explore Asheville. “This project enhances Asheville’s downtown by developing a cultural gateway connecting cultural assets along the Broadway-Pack Square-Biltmore corridor. The comprehensive campaign makes possible the Center’s goal to advance craft innovation and enhance educational opportunities for the next generation of artists, curators, and scholars. Incubated within the University of North Carolina System for the first 17 years of operation, the Center now operates as an independent 501c3 organization, maintaining strong partnerships with local academic institutions and preeminent graduate institutions such as New York’s Bard Graduate Center. The hub will also house the internationally recognized, low-residency Master of Arts (MA) program in Critical and Historical Craft Studies developed in partnership with Warren Wilson College. 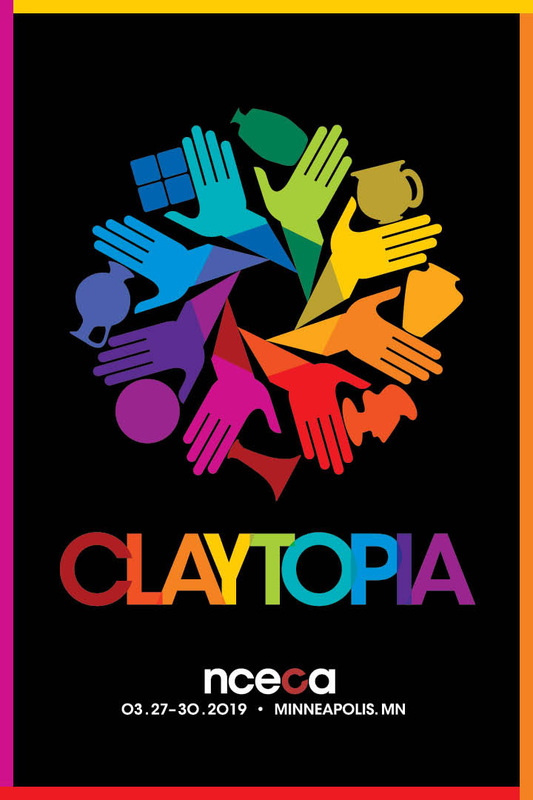 Groundbreaking exhibitions and associated public programs have distinguished the Center as a Statewide Arts Resource by the North Carolina Arts Council. The significant history and legacy of craft in western North Carolina has long been a substantial driver of cultural tourism, economic empowerment, and prosperity. With a successful campaign, the Center for Craft will be a key destination in Asheville and coalesce a local and national community of diverse constituents including artists, scholars, collectors, entrepreneurs, and the general public. In 2013, the Center for Craft purchased its downtown Asheville facility outright and began establishing the institutional relationships that raise the visibility of craft in the region. 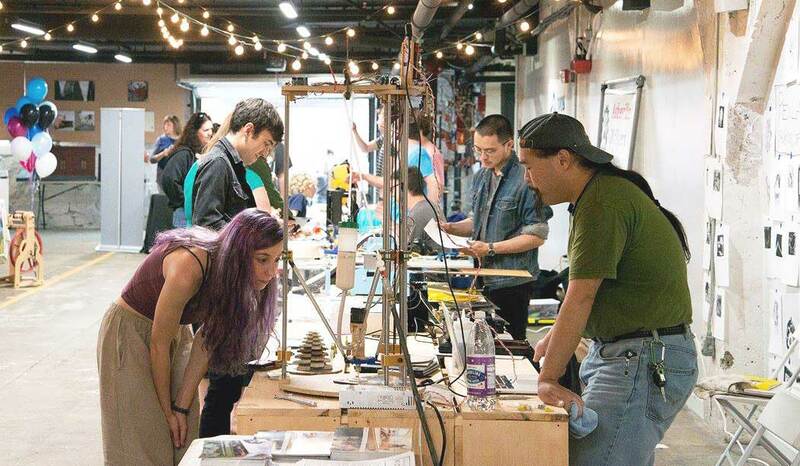 Earlier this year, the Center launched a market study with Artspace (Minneapolis, Minnesota) that engaged 5,000 creative individuals, including artists, makers, designers, performers, musicians, and others. 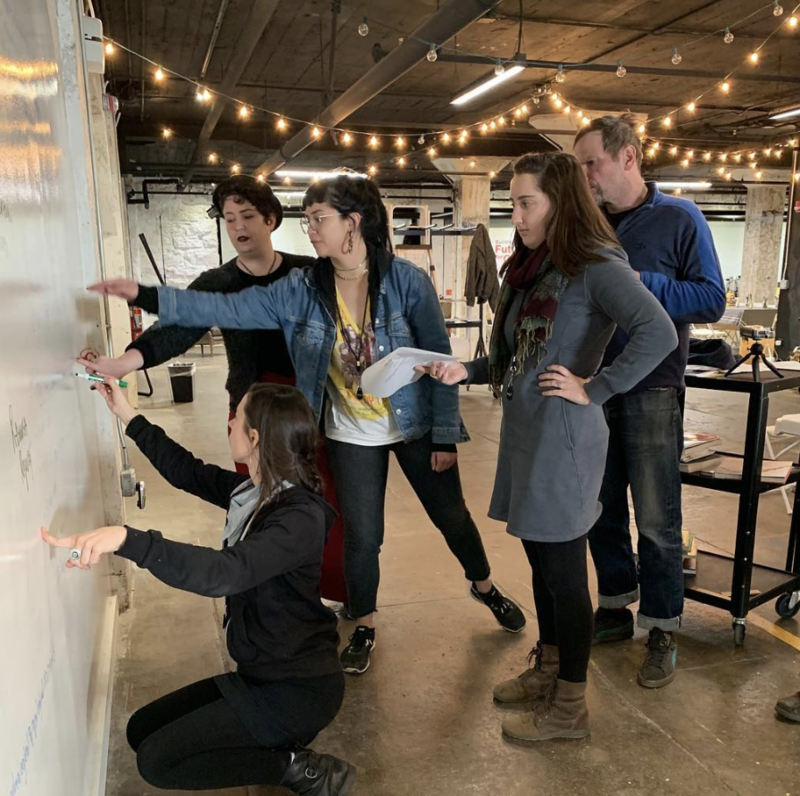 The Center also staged a creative intervention event in May 2018 in partnership with the faculty, staff, and students of UNC Asheville and with support from the Asheville Design Center. The goal was to prototype future scenarios of arts-inspired public infrastructure and gateway features leading into downtown Asheville that would contribute to the unique sense of place surrounding the Center’s property at 67 Broadway. The Center is an important destination in the region, and expanding public spaces for meetings, workshops, and assemblies will enable the Center to host national craft convenings, such as the recent Shared Ground symposium. 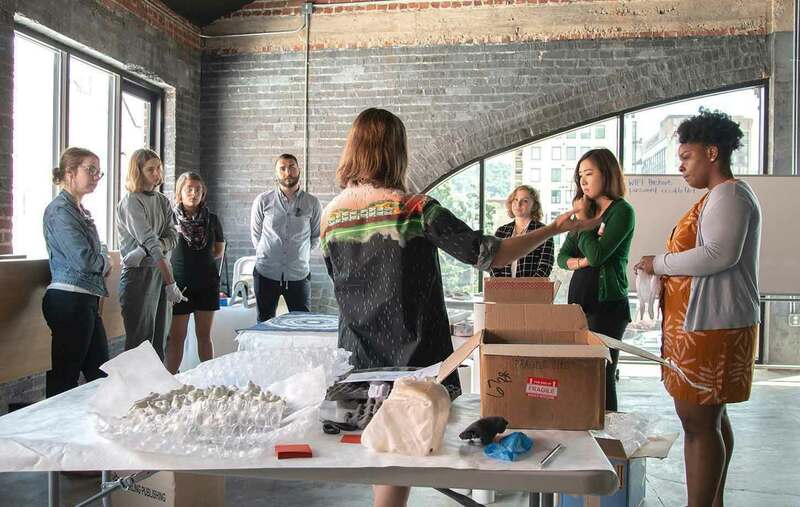 In partnership with Bard Graduate Center and the Museum of Arts and Design (MAD), Shared Ground took place in New York City in September. The launch of the public phase of the comprehensive campaign coincides with the recognition of a lead gift by the Bresler family of greater Washington, DC and the naming of the principal gallery in their honor. Other major campaign contributors include UNC Asheville and Warren Wilson College, in addition to John Cram, Marlin Miller, Sara Morgan, and NC Senator Terry Van Duyn. With only $1.1 million remaining, gifts of all sizes are welcome and are essential to the campaign’s success. “Now is the time for friends of the Center for Craft to participate in the first organizational campaign,” said Stephanie Moore, Executive Director. “We ask all to consider offering support so the Center remains home for those who are dedicated to and engaged with making.” With each gift, the Center moves closer to realizing its ambitious vision that will debut with a reopening celebration in early November 2019. The first 500 donors who contribute $350 will have their name added to the tile installation on the building’s exterior, and donors of $5,000+ will be included on a commemorative wall plaque. For more information about the Building a Future for Craft campaign and details on how to directly contribute to its success, please contact: Katie Cornell, Development Manager, kcornell@craftcreativitydesign.org, 828-785-1357 x110, or visit: www.centerforcraft.org/support or in person at the Center for Craft. Founded in 1996, the Center for Craft (formerly The Center for Craft, Creativity & Design) is the leading organization in the United States identifying and convening craft makers, curators, and researchers, and matching them with resources, tools, and networks to advance their careers. Over the years, the Center has become a vital community resource, serving thousands of visitors annually. 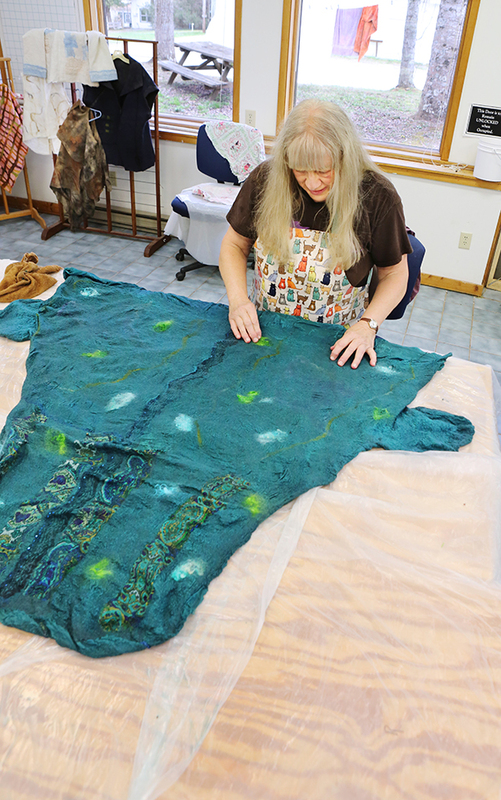 As a national 501c3 nonprofit organization dedicated to advancing the field of craft, the Center administers more than $300,000 in grants to those working in the craft field.